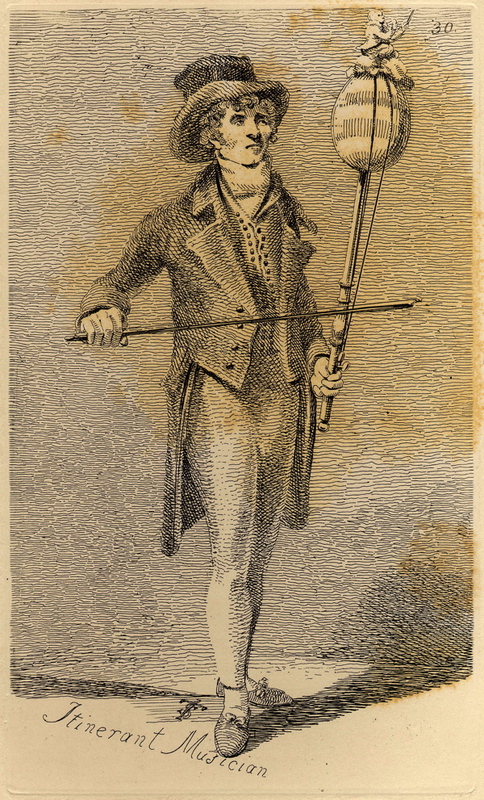 This is William Conway of Crab Tree Row, Bethnal Green, who walked twenty-five miles every day, calling, “Hard metal spoons to sell or change.” Born in 1752 in Worship St, Spitalfields, he is pictured here forty-seven years into his profession, following in the footsteps of his father, also an itinerant trader. 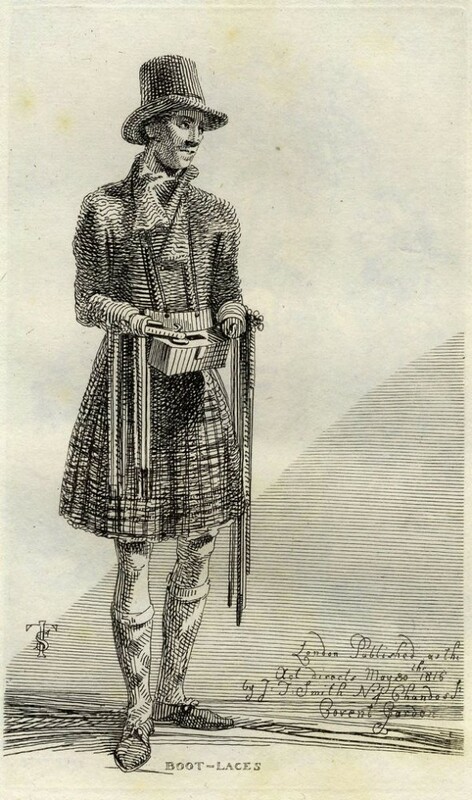 Conway had eleven walks around London which he took in turn, wore out a pair of boots every six weeks and claimed that he never knew a day’s illness. 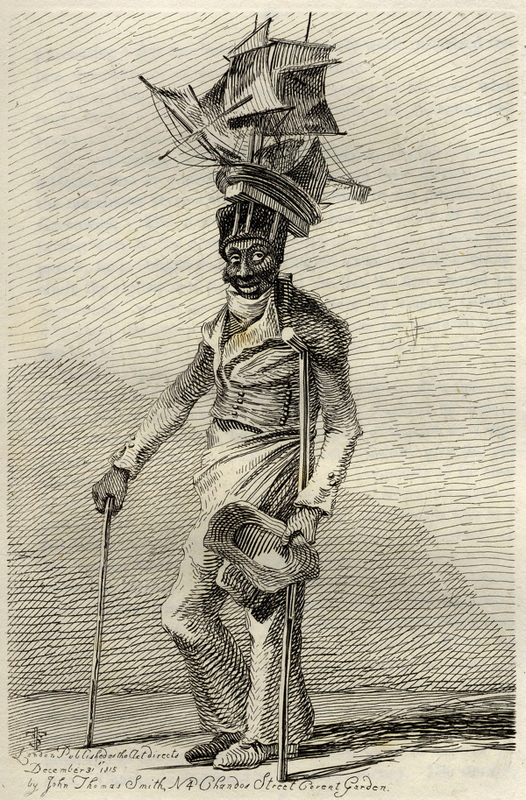 This is just one of the remarkable portraits by John Thomas Smith collected together in a large handsome volume entitled “Vagabondiana,” published in 1817, that it was my delight to discover recently in the collection of the Bishopsgate Institute. John Thomas Smith is an intriguing and unjustly neglected artist of the early nineteenth century who is chiefly remembered today for being born in the back of a Hackney carriage in Great Portland St and for his murky portrait of Joseph Mallord William Turner. 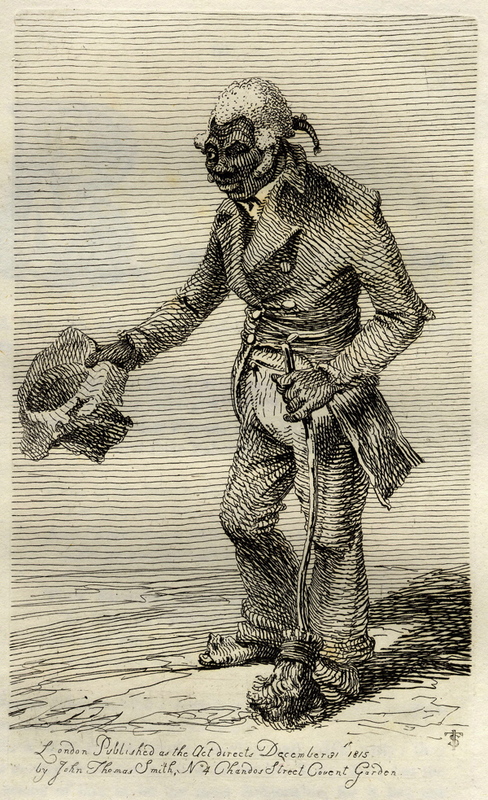 Yet in spite of these apparently self-righteous, Scrooge-like, sentiments – that today might be still be voiced by mayors of major cities or any number of venerable bigots in parliament – John Thomas Smith’s pictures tell another story. From the moment I cast my eyes upon these breathtakingly beautiful engravings, I was captivated by their human presence. There are few smiling faces here, because Smith allows his subjects to retain their self possession, and his fine calligraphic line celebrates their idiosyncrasy borne of ingenious strategies to survive on the street. You can tell from these works that John Thomas Smith loved Rembrandt, Hogarth and Goya’s prints because the stylistic influences are clear, in fact Smith became keeper of drawings and prints at the British Museum. More surprising is how modern these drawings feel – there are several that could pass as the work of Mervyn Peake. 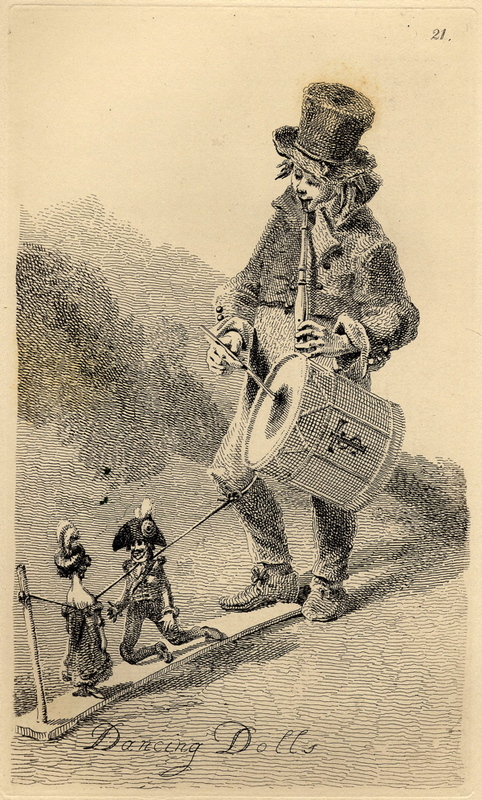 Heath Robinson’s drawings also spring to mind, especially his illustrations to Shakespeare and there are a couple of craggy stooping figures woven of jagged lines that are worthy of Ronald Searle or Quentin Blake. 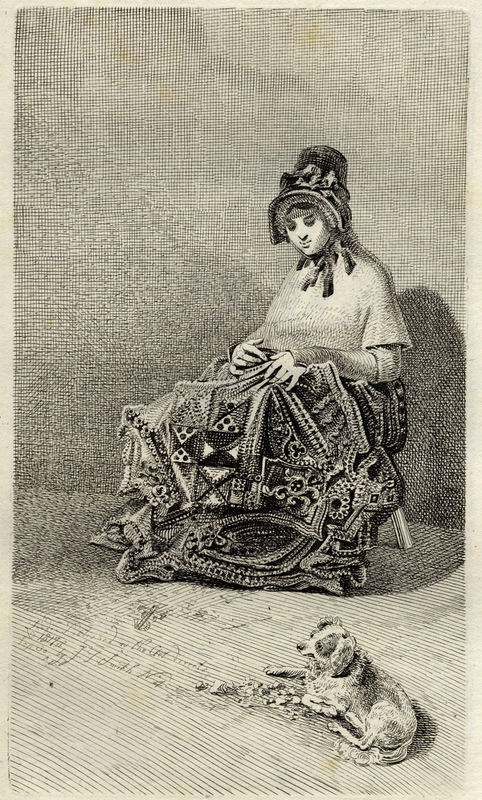 If you are looking for the poetry of life, you will find it in abundance in these unsentimental yet compassionate studies that cut across two centuries to bring us a vivid sense of London street life in 1817. It is a dazzling vision of London that Smith proposes, populated by his vibrant characters. 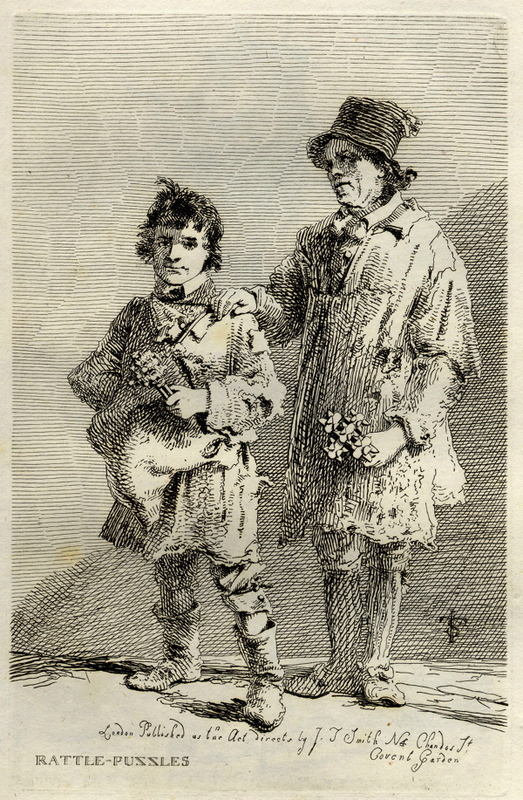 Smith described his subjects as “curious characters” and while some may be exotic, it is obvious that these people cannot all fairly be classed as vagabonds, unless we chose instead to celebrate “Vagabondiana” as the self-respecting state of those who eek existence at the margins through their own wits. One cannot deny the romance of vagabond life, with its own culture and custom. 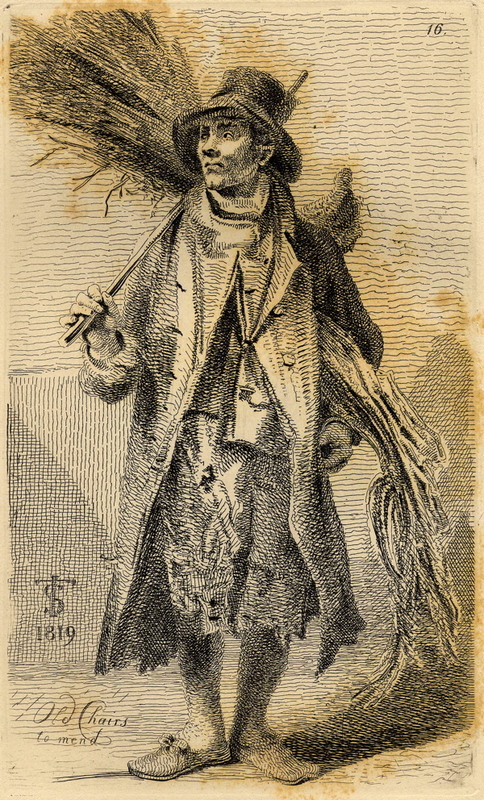 Through pathos, John Thomas Smith sought to expose common human qualities and show vagabonds as people, rather than merely as pests to be driven out. 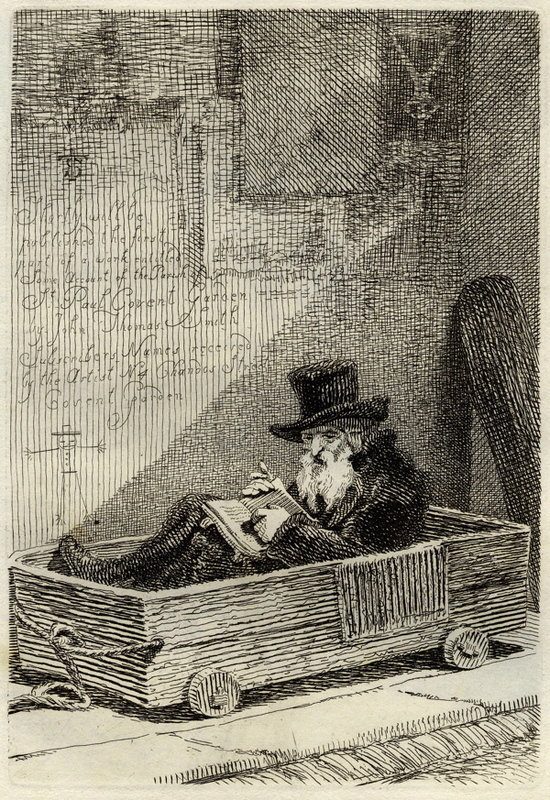 A Jewish mendicant, unable to walk, who sat in a box on wheels in Petticoat Lane. Israel Potter, one of the oldest menders of chairs still living. 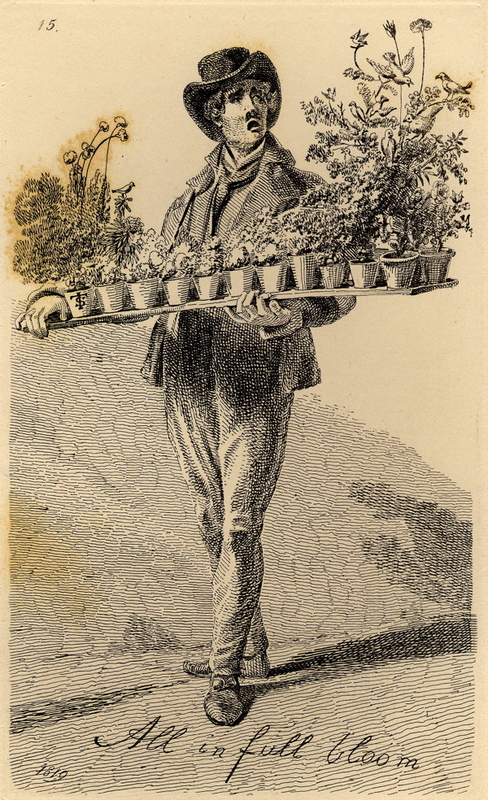 George Smith, a brush maker afflicted with rheumatism who sold chickweed as bird food. 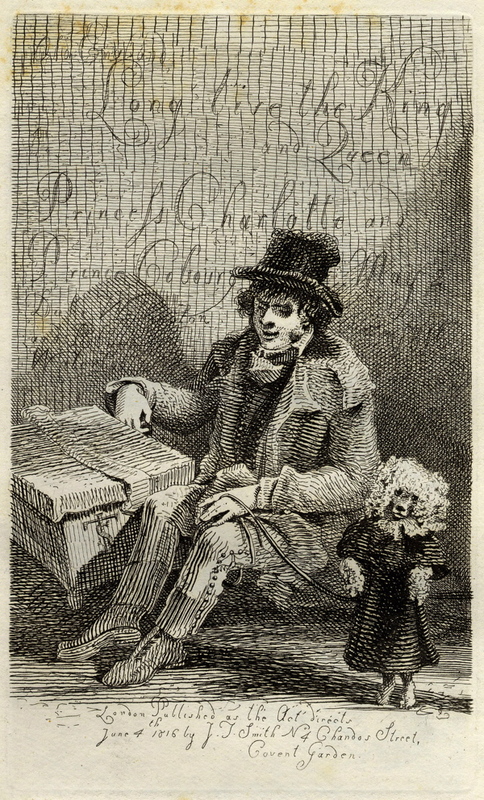 Charles Wood and his dancing dog. 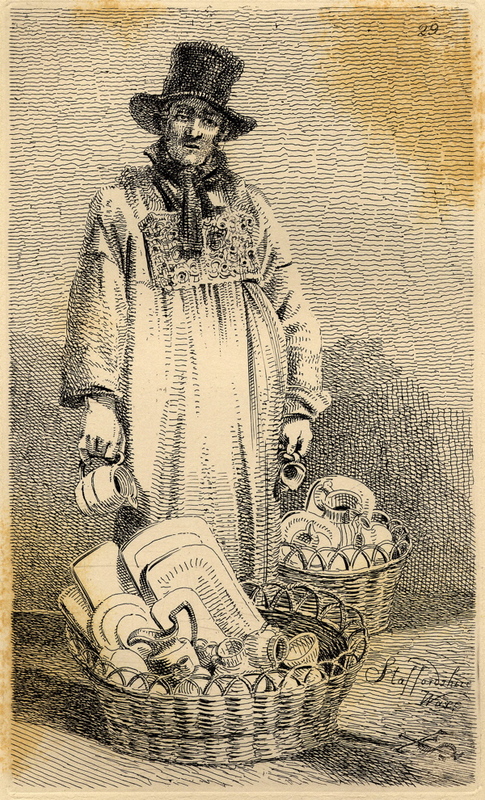 Staffordshire ware vendors bought their stock from the Paddington basin and sold it door to door. 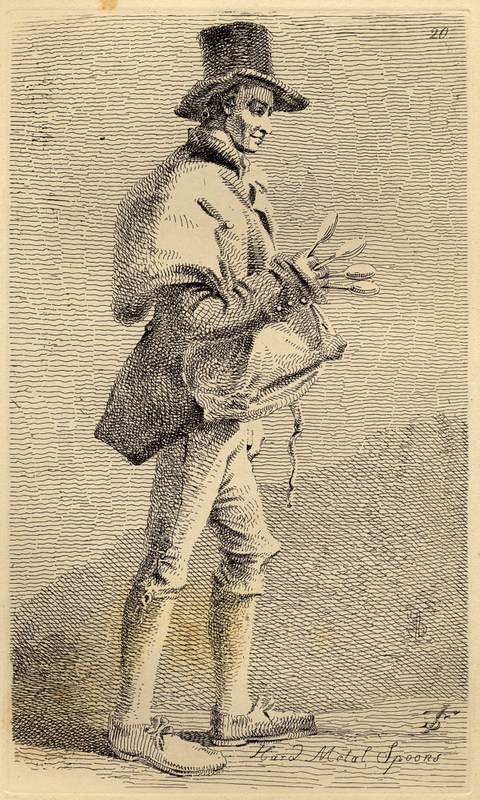 A blind beggar with a note hung round his neck appealing for charity. These are quite wonderful! The Bishopsgate Institute should publish them. Thank you for showing them here. Loved these engravings, very atmospheric. Thank you so much for these, wonderful. I was born on the Boundary Estate and still live and work around Spitalfields. 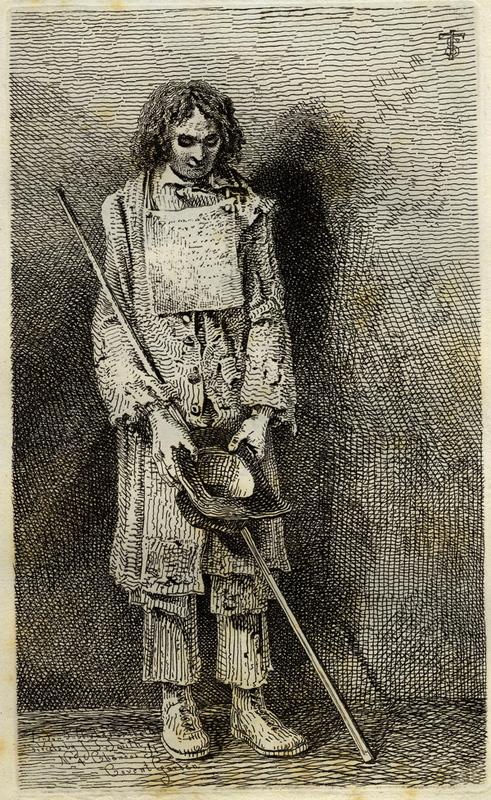 Apart from the engravings being so very good once can imagine the streets of London when looking at them, so much detail. 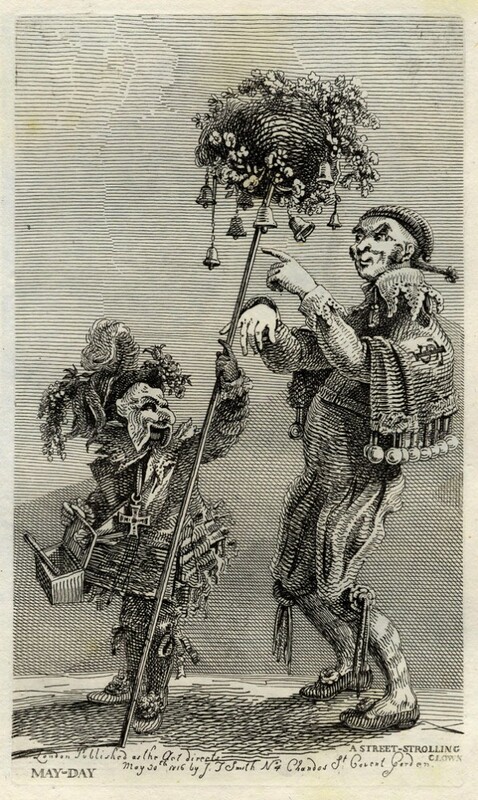 Heh – what you have here are pedlars – the ancient right we all have but very few exercise. Although it goes back into prehistory, the profession was codified into law in the Pedlar’s Acts of 1871 and 1881. Anyone can present themselves to the county police if they are of good character, and obtain a certificate that allows them to trade in any public space (though usually this is interpreted in modern times to mean that you must be constantly on the move and have a only have a small pack of goods that you push in a trolley or carry on your back. Sadly there is now a law which has prevented pedling of goods in most parts of London, though there is some discussion about whether it is possible to have secondary legislation of this kind that applies to only small geographical regions. It is a missing part of life, in my opinion. I can’t honestly see that street life would be worse if there were more people selling goods on the move. absolutely breathtaking.my great grand father was a jewish chair maker around bethnal green at this time and this so brings it to lfe for me.wonderful. These are wonderful, thank you for posting them. 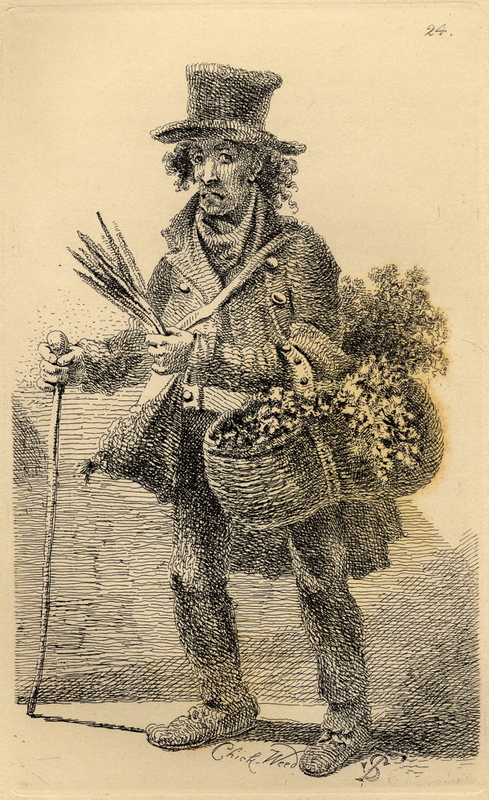 “Joe” please be in contact with us @ pedlars.info – your comment is exactly pertinent to how historically the pedlar has been but now how the pedlar should be allowed to trade according to law throughout the UK without harassment by ill informed or deliberately prejudiced local authority and police. Pedlars @pedlars.info provide update on all topics & background to pedlary and also support pedlars with advice and often indicate legal assistance to defend against “unlawful” prosecution in courts – TonyHawkins@aol.com is a good reference for correct “interpretation” and fact. Hugh Alford is way off the mark with his comments about BIS & Jo Swinson seeking to make pedlars lives easier by scrapping the Pedlars Act & introducing “burdensome” regulation where and as of now non at present exists. The mistaken or deliberately engineered proposal by HMG BIS to turn pedlars from being common law people into potential victims of criminal prosecution is not publicised at all by government or media and Hugh is complicit by yet again promoting ill-informed opinion for his own gratification and reward. Like the Local Authorities and now more often “private” agencies like G4S society is disintegrating into multiple fiefdoms controlled by bounty hunters. 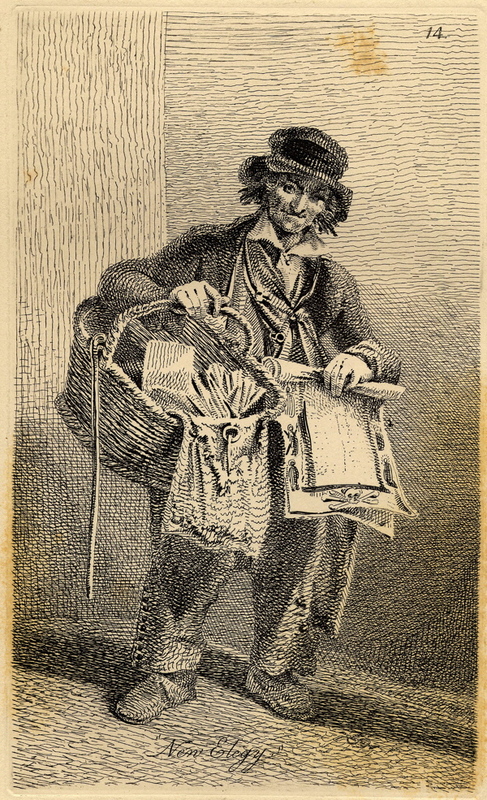 The Pedlars Act 1871 was preceded by Hawkers & Pedlars Act 1697. These rights to free trade are unique to the UK’s 50 million people above 17 who may decide at any time in their lives through needs or choice to become a pedlar. A pedlars certificate is a Crown protected cultural safety valve that since 1999 has been threatened by local fiefdom councils seeking monopoly control of public space economy and more recently by HMG/BIS who are swayed by private business interests to legislate against pedlars freedoms, rights and liberties in public spaces by seeking repeal of the Pedlars Act… on fallacious grounds of helping pedlars but in fact by subjecting them to local authority street trading regulators whose mission has been to rid the streets of competition to their own licensed street traders. In any other normal business such creation of monopoly is unlawful, is not in consumers best interest, and is certainly not the intention of the European Services Directive. The ability of BIS to corrupt common sense interpretation of both the Pedlars Act and the Services Directive is beyond belief. Pedlars already see the long term consequences… this current coalition government using the spin of private public partnership, PPP, to resolve how State has failed local High Street economies… politicians now say its up to private business to do the job… so they move control of the Urban Space [and the laws of Urban Space] into the hands of the Coorporation by first handing total control to Council Coorporations who are free to sell the Urban Space to Private Investors [as with streets surrounding Manchester Stadium & the South Bank]. Thereafter the notion of free trade is terminated, pedlars terminated, all trade only by private contract/arrangement, cultural life terminated, licence fees skyrocket, unhappiness throughout the land. Who will have first pickings of UK Urban Space… available for purchase from your local authority. It’s not too late for 50 million people to stop this government stupidity… don’t let them use a back-door, deceptive Statutory Instrument to alter 315 years of free trade. Is it possible to purchase prints at reasonable cost? Where? I’m very pleased that I did not live in those times . Thank you infinitely for this fascinating blog entry. I loved your introduction and am fascinated by these fine, compassionate pictures. It helps to imagine what life in Spitalfields at the time, I almost thought I could get a glimpse of my Spitalfields forbears as they walked along these streets, coming across these colourful characters.